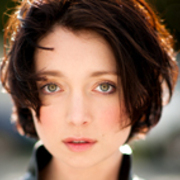 Antonia Prebble’s list of acting credits is extensive and eclectic, spanning everything from sci-fi hit The Tribe to period drama White Lies. She also holds the unusual credit of playing her own grandmother, after following her breakthrough role of Loretta West in Outrageous Fortune with that of Loretta’s grandmother Rita, in Westside. After a starring role in this episode of anthology series A Twist In The Tale, she took on a role in The Tribe, a UK-NZ co-production shot downunder. The series followed a group of teenagers left alive after a mysterious virus wipes out all adults. Prebble played Trudy, a 14-year-old who gives birth early in the series — the first of four onscreen births for Prebble — and is forced to deal with her responsibilities as a mother in a post-apocalyptic world. The Tribe ran for five years and 260 episodes, of which Trudy appeared in 197. Time as a student was put on hold when she landed the role of Loretta West in the iconic Outrageous Fortune. Originally she'd auditioned for the role of Loretta's sister, blonde bombshell Pascalle. “I think I did a terrible, terrible job. I’d be such a bad Pascalle.” After another audition a few weeks later, Prebble was asked to play Loretta. As Loretta, Prebble was playing the youngest member of the West family. Although always scheming and manipulative, she also showed moments of softness, as she developed over the show’s six seasons from a rebellious teenager into a brothel-owning married mother. Prebble was nominated for Best Supporting Actress at the NZ Screen Awards in 2006 and 2007, before winning a Qantas in the same category in 2008. Following the show’s conclusion in 2010, Prebble appeared in the World War II set telemovie Spies and Lies. Acting alongside her Outrageous Fortune brother Antony Starr, she played a secretary who is having an affair with her boss. In 2013 Prebble starred in her first feature film White Lies, a period drama based on Witi Ihimaera novella Medicine Woman. Prebble played Pākehā settler Rebecca, who employs the help of a Māori healer to avoid the ramifications of an unwanted pregnancy. Speaking with 3News in 2013 she described it as “definitely the hardest role I've ever taken on, by any stretch of the imagination.” Elsewhere she called the character "incredibly complex, incredibly damaged"; the role left her bruised but proud. White Lies was invited to the 2013 Toronto Film Festival and lead to awards for both Prebble and director Dana Rotberg at the Women in Film and Television Showcase (WIFTS) Foundation International Visionary Awards. Prebble received The Barbara Tipple Best Actress Award. In 2014 Prebble starred in her second feature, this time in a very different setting to colonial Aotearoa. San Diego-set action thriller The Cure saw her starring as a young biochemist who discovers her company has been withholding a cancer cure. The setting had her playing American, despite the film being shot around Wellington by local director David Gould. Her performance earned her a nomination for Best Actress at the New Zealand Film Awards. In the same period, Prebble starred opposite her Outrageous Fortune sister Siobhan Marshall in murder mystery The Blue Rose. This time she playing Jane, a new employee at a law firm who realises that the woman she replaced was murdered, despite police concluding to the contrary. Stuff reviewer Chris Philpott called it “one of the year's most intriguing new shows, and another success for [Rachel] Lang, [James] Griffin, and the team at South Pacific Pictures.” Incidentally, this was the team behind Outrageous Fortune. After years of interruptions in the form of a successful acting career, Prebble graduated from Massey University with a Bachelor of Arts in 2014, nearly 10 years after her study was put on hold. Prebble began taking on starring television roles in Australia, starting with ANZAC Girls where she played Sister Hilda Steele, a nurse in the 1915 Gallipoli campaign. In 2015 she starred alongside Kiwi-born Rebecca Gibney in Winter, playing ambitious young detective Alesia Taylor, who is mentored by Gibney’s Detective Sergeant Eve Winter. Stuff reviewer Jane Clifton described the series as “a good, solid Sunday thriller series, with the bonus of Antonia Prebble”. The day after shooting wrapped on Winter, Prebble returned to West Auckland to star in Outrageous Fortune prequel series Westside. In the series, set in the 1970s, 30 years before Outrageous, Prebble plays Rita West, the grandmother of her original character Loretta, and wife of iconic Westie, Ted West. The character often commented in Outrageous Fortune that Loretta reminded him of Rita. The new show won rave reviews. In 2017 Prebble was nominated for Best Actress for her work, the same year Westside's third season went to air. Prebble has also acted in as yet unreleased feature film Timeslow by director Sally Tran, and played lead roles in a number of short films including Honky Tonk and The Next Round. She also appeared as the ex-partner of Dean O'Gorman's character in the 2017 remake of Goodbye Pork Pie.